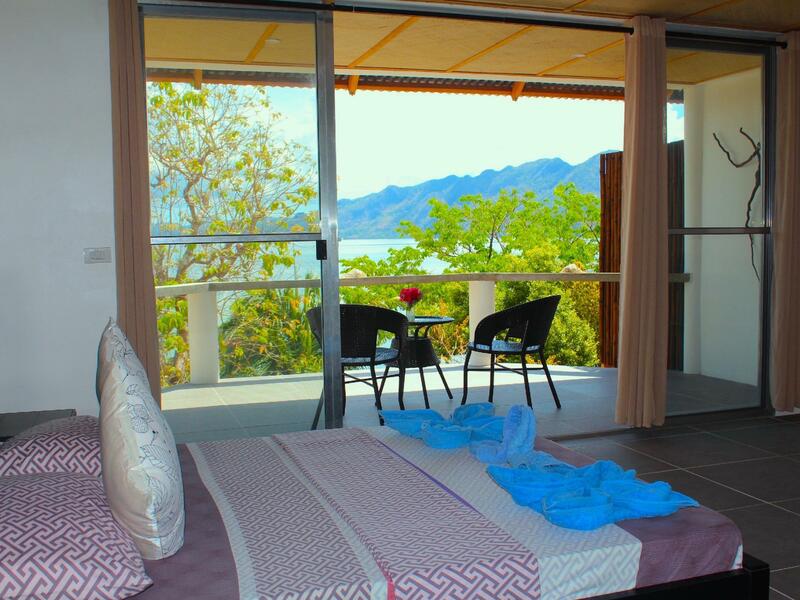 ﻿ Chindonan Dive Resort, Palawan - SAVE ON AGODA! "My stay at Chindonan Dive Resort was just perfect!" Have a question for Chindonan Dive Resort? "Staff are so friendly, it feels like a big family here." "Very accomodating and relaxed environment Pierre, Ken, Shaun and all the team are great." "The staff is very helpful and sympathetic." "Place is nice, quiet, clean, but isolate island." Conveniently located in Northern Palawan, Chindonan Dive Resort is a great base from which to explore this vibrant area. From here, guests can enjoy easy access to exciting WWII wreck diving and enchanting reefs. With its convenient location, the resort offers easy access to the area’s must-see destinations. 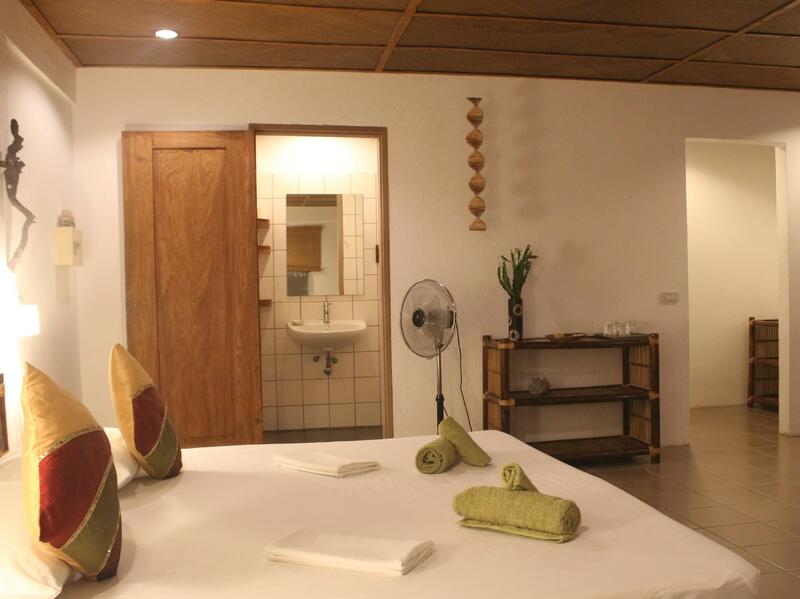 The facilities and services provided ensure a pleasant stay for guests. The hotel provides Wi-Fi in public areas, a family room, airport transfer, bar, and tours to ensure our guests the greatest comfort. Experience high quality room facilities including a balcony, shower, desk, and fan to help you recharge. Throughout the day, you can enjoy the relaxing atmosphere of the massage treatments and private beach platforms. Chindonan Dive Resort is a smart choice for travelers to Northern Palawan, offering a relaxed and hassle-free stay every time. "One of the best places I stayed at." We enjoyed our 4-night stay in chindonan! Beautiful island resort to unwind and scubadive. Also amazing housereef perfect for snorkling, right from the shore. The rooms had a beautiful view but could need a little facelift, especially the bathroom. Staff were very welcoming and overall the whole island had a warm community feel. Delicious home-style food. Scuba instructors were professional and also daytrips beyond diving were easily managed from the resort. After getting engaged during stay, the owner offered us wine for our celebration. What a beautiful gesture, which we valued much! Thanks for a memorable stay! This time in Coron Island I stayed in 3 resorts and Chindonan is the best! I will definitely come back to Chindonan Dive Resort! Couldn't enjoy it more.... My mom is 60 year old and is a vegetarian but she loves this resort because the people are super friendly and very supportive whenever you have any request. The food is really amazing at Chindonan and also it has great diving instructors, diverse activities of fair prices, customized services... 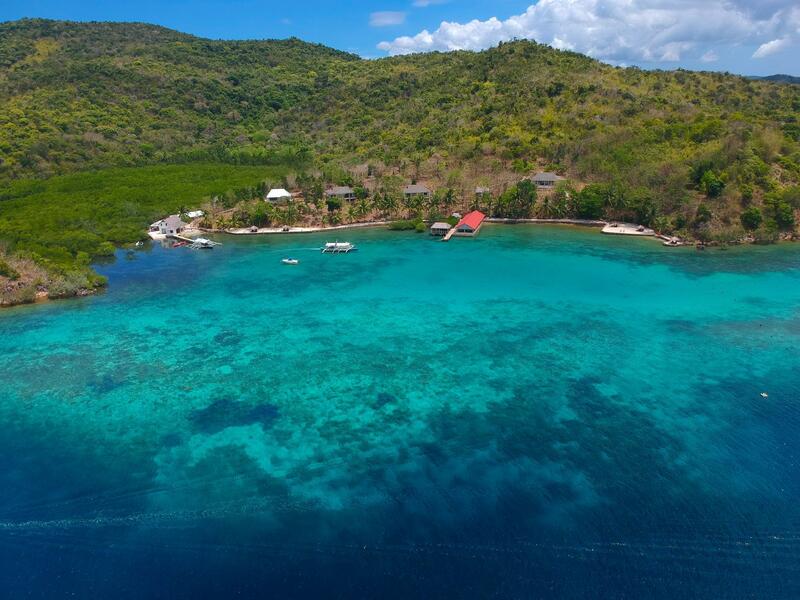 It's perfect for divers and snorkelers! It's also an eco-friendly resort which respects and lives in harmony with nature. The location is very convenient to do island hopping too! highly recommended!! Very friendly staff and food are always lovely. Good location for diving, food is above average, try their pancake, good taste. Their instructor is trustworthy, and help you review your diving skills, correct pitfalls, and find lots of sea creatures! recommend! The staff is very helpful and sympathetic. Everyone makes you fell at home what you’re not because you’re in paradise. The transfer was perfectly organized, 1 hour navigation in bangka from Coron city. We were welcome by a drink and had the opportunity to go out directly to an island hopping tour. breakfast are simple but good. The dinner is served at 6:30 and always excellent. In between a lunch/snack menu can fulfill what you need for drink and eat. We had a cottage posted just over the main building where from we enjoyed the view and the calm. We just heard the wind breezing trough the trees. It’s ecologically managed why you sometimes have electricity break. Whatever the WiFi is really good when electricity is provided. We can only recommend this place where we had great time. One of the best places I stayed at. Very accomodating and relaxed environment Pierre, Ken, Shaun and all the team are great. Had a fantastic week diving, snorkeling and kayaking. Great spot to relax and enjoy diving. Stuff is very welcoming and friendly. Wifi connection is very poor, only works early in the mornings. Resort is well designed and managed. Ideal for a 3-4 night stay. Staff were brilliant- resort team were very attentive, dive instructors are very informed and excellent teachers. Rooms are spacious & comfortable. Only comment would be to ensure that all the bungalows have A/C. My husband and I just returned from a three night stay at Chindonan, and we can't rave enough about our time there. The food was delicious, the location is perfect as it's super close to all the wrecks for scuba diving. The dive staff is professional and friendly and safe, and the wait staff are very attentive and sweet. We will DEFINITELY be back!!! Calm clear water for snorkeling in healthy coral; Quite outstanding dinners including fresh seafood and creative salads; well-made cocktails; roomy, clean rooms with a view; free kayak use; Safe spring water. Cold showers, part-time power and hillside steps did not really bother us. Quiet and more efficient ceiling fans in bedroom and better Internet facilities would greatly enhance comfort. Transfer logistics take time and a sense of adventure. Flight delays up to 4 hours might thwart connections. Be prepared to ask for equipment and advice or you may miss opportunities. If you can waive a white sand safe swimming beach with lots of fish, then all in all Chindonan offers a peacefully remote and reasonably classy stay of very good value. The chindonan Duve resort was a surprise. We didn't expect that it will be that peaceful and quiet. Our stay was really what we needed to re-energize and recuperate ourselves after a tough mountain adventure from Bicol. But aside from that, Coron is unique, with the fantastic beaches we visited . It is nature at its best. Chindonan location is indeed strategic, close to the wrecks and to interesting beaches to visit. Our room was very comfortable and I love waking up to have a tea in the balcony and just staring at the sea!! (unfortunately our room 8, was close to the housekeeping resident, and there was a day we woke up early by their morning rituals. In anycase, they immediately tamed down as soon as they were told.) The staff are all friendly and receptive to all our requests. The only surprise was all the entrance fees to visit the beaches which are valid if only there were also official receipts given back.... The only downside of the place perhaps are the choices for breakfasts and Lunch. I hope they soon can improve on this. Dinner was always good and interesting. We truly enjoyed our stay , moreover after seeing what Coron town has to offer-- one must stay and take refuge In Chindonan Dive resort! My stay at Chindonan Dive Resort was just perfect! If you're looking for a beautiful refuge away from the city, this is the place for you. Amazing natural beauty everywhere you look, the rooms are clean and comfortable, the staff is just the best. Fantastic snorkeling right in front of the resort, with sea horses! I'm a bird lover, and I was thrilled with all the gorgeous, exotic birds flying around. The food was wonderful, and what a view from the dining area! I love everything about my stay and I look forward to visiting again! While it might be inconvenient for other people to not have electricity during certain hours of the day, this was perfect as it forced me to stay out of my room and enjoy the beautiful views and talk to the lovely people of Chindonan island. The staff was friendly and it was great to have an open kitchen for patrons to watch the preparation of the food. Nikolaj, the dive instructor is friendly and enthusiastic and very helpful to newbies like myself. The reefs and views were stunning and the fact that the resort had its own natural water spring was wonderful. The birds and the quests were so relaxing and I definitely recommend kayaking around the island. The mangroves are so peaceful and the water is absolutely perfect. I didn't get to see one of their famous seahorses but I certainly saw so many other things. This is an eco resort done right and the management should be so proud for having created an eco friendly and peaceful place to go diving. isolated place. free airport transfer. We stayed two nights here but wish we could have left after one. Yes the Snorkling was great and the location was nice but for the money.....no way. My partner and I were given two separate beds which seperated as soon as you got Into them. The bathrroom door did not shut. Awkward. I guess we were lucky though as my friend didn't even get a door on hers. Or any curtains so her privacy was no existent. The shower had old used soap in it and our 'spring water' from the taps and shower was brown for over half a day. The water then completely stopped so no shower or toilet and no one offered to move us to an empty room. When asked if we would get a discount for the inconvenience we were told no. I would expect this from a one star. Not a 3. No air con in rooms just a noisy fan and as there is no power from 7am till noon so the room gets incredibly stuffy. The resturant however was good. Nice food and the Filipino staff were all lovely. No complaints there. We just wish the manager had the same attitude. He just wasn't bothered. Considering they have been there for 6 years the rooms were bland and lacked charm and the resort itself was full of concrete.